The publication images = images is basing on debates on and examinations of the performance “Discours mou et mat“ by Gina Pane, in collaboration with the artist Teresa Maria Diaz Nerio and the art and architecture historian Patricia Grzonka. images = images was published accompanying the installation “Matt und Schlapp wie Schnee“ by Stefanie Seibold as part of the project »Art is Concrete. And So is Truth?«, Camera Austria, Graz, January 12 – 27, 2013. This project investigates the mechanisms that produce exclusion and disadvantages beyond systems of categorisation and the underlying logic behind publication and distribution. It also explores the mechanisms that discriminate on grounds of gender, race or sexuality — intersecting repeatedly in the case of Gina Pane — and also frequently operate on an internalised level. The project “Matt und Schlapp wie Schnee“ attempts to render these intersecting lines and omissions visible from today‘s perspective, and to critique them. Furthermore, the project explores the contemporary relevance of such an analysis, and subsequently aims to shape and inform a discourse that acts as a critical disruption of the narrative of a white, heteronormative avant-garde. The aim of the images and texts in “Matt und Schlapp wie Schnee“ is to make an enduring contribution to the rewriting of this obsolete narrative. Doppelseite aus / Double page from images=images, Stefanie Seibold, S. / pp 2-3. 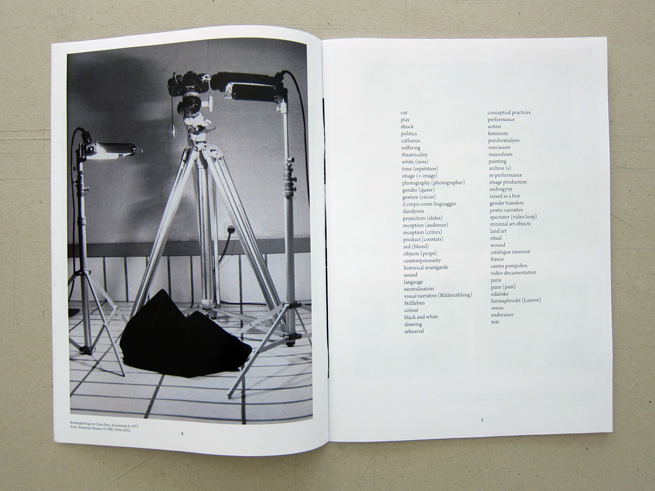 Doppelseite aus / Double page from images=images, Stefanie Seibold, S. / pp 4-5. Doppelseite aus / Double page from images=images, Stefanie Seibold, S. / pp 6-7. 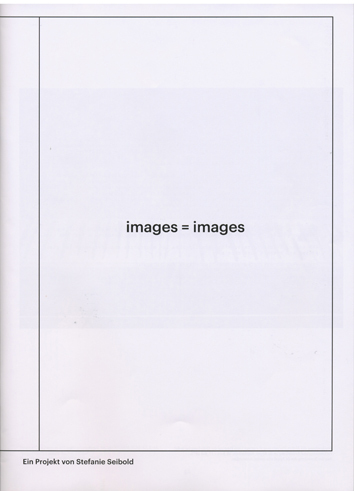 Doppelseite aus / Double page from images=images, Stefanie Seibold, S. / pp 8-9. 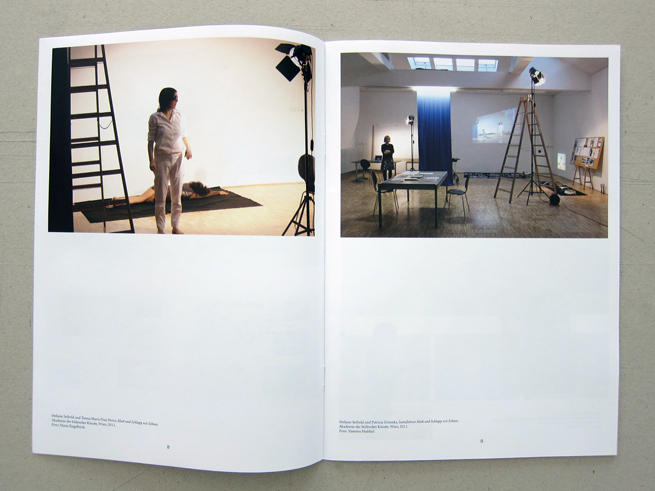 Doppelseite aus / Double page from images=images, Stefanie Seibold, S. / pp 12-13. 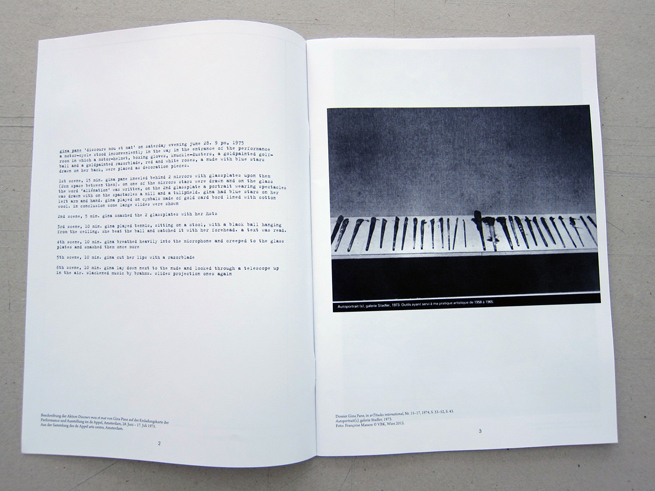 Doppelseite aus / Double page from images=images, Stefanie Seibold, S. / pp 14-15. 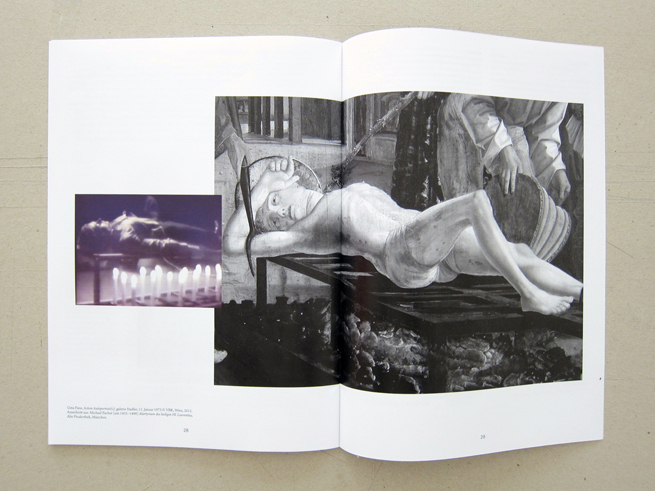 Doppelseite aus / Double page from images=images, Stefanie Seibold, S. / pp 28-29.